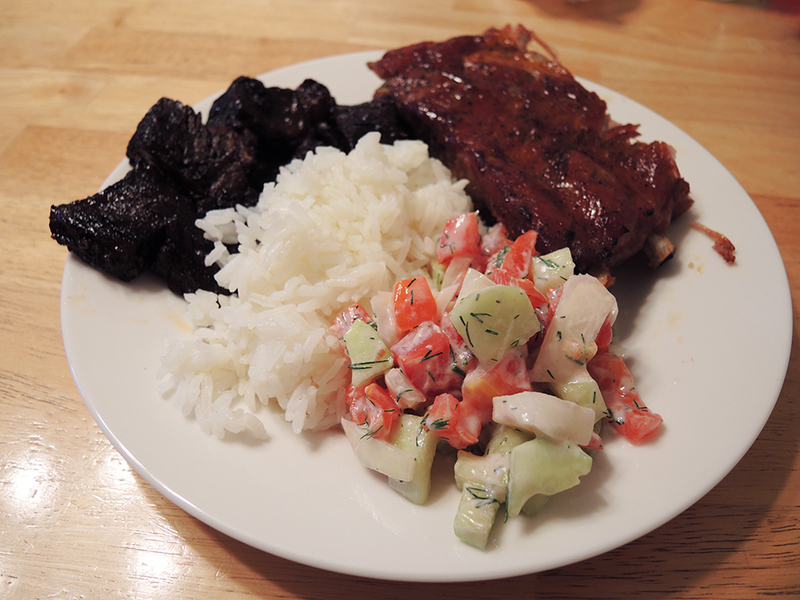 I enjoy salad, but I don’t necessarily go out of my way to eat it as much as I should. 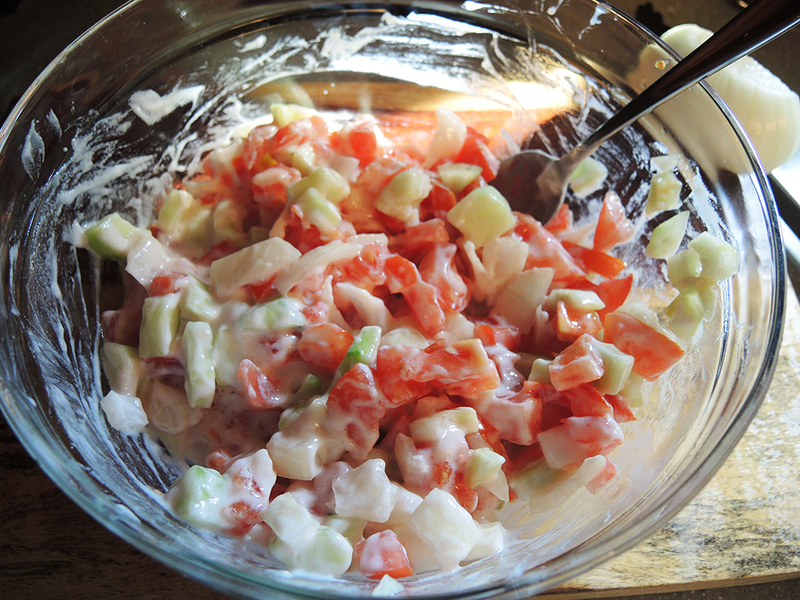 A few years ago, my friend made this dill yogurt salad for a summer barbecue and I couldn’t get enough of it. Not only did I eat numerous servings, but I promptly went home and made myself a big bowl the following week. It’s such a simple recipe, but it packs in a lot of soothing flavors that work perfectly well on those warmer days. The tomatoes and cucumbers are already refreshing on their own, but the yogurt creates yet another layer of coolness that ties the whole salad together. The onions add in a little bit of spice that doesn’t overpower, but keeps each bite interesting. Lastly, in my opinion, the dill just makes the whole dish because the green, tangy flavor pairs perfectly with yogurt and cucumbers. Enjoy this salad as a side dish for almost any entree. Whether you are grilling in the backyard, making slow cooked barbecue, or simply roasting some fish or chicken in the oven, this salad goes wonderfully with any meat. Makes one large bowl of salad at about 161 calories total or 20 calories per 1/8 serving. Note: If you can find yellow tomatoes, try them in this salad. The yellow tomatoes add a great color, sweetness, and a bit less acid, which is good for those that may have a sensitivity to acidic foods like tomatoes or yogurt. 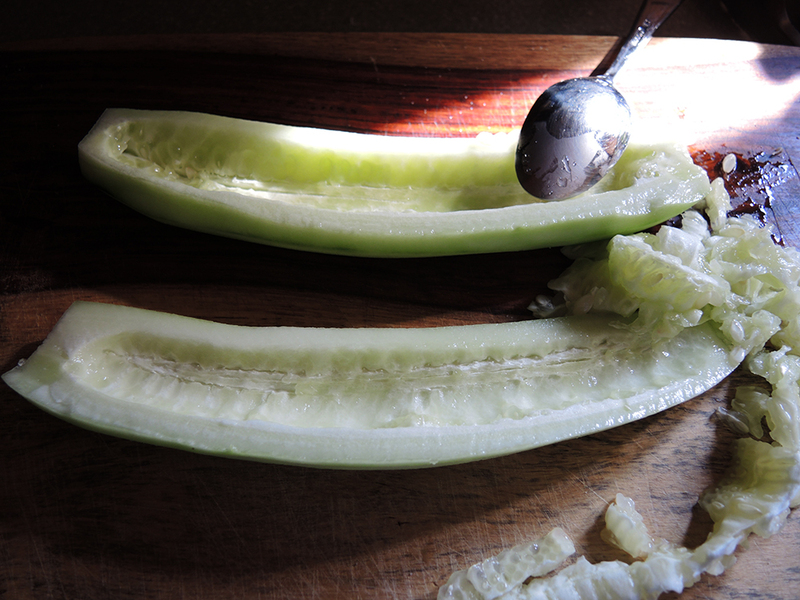 Peel the cucumber, cut it in half, and use a spoon to scoop out the seeds. Just run the spoon down the center while applying a mild pressure. 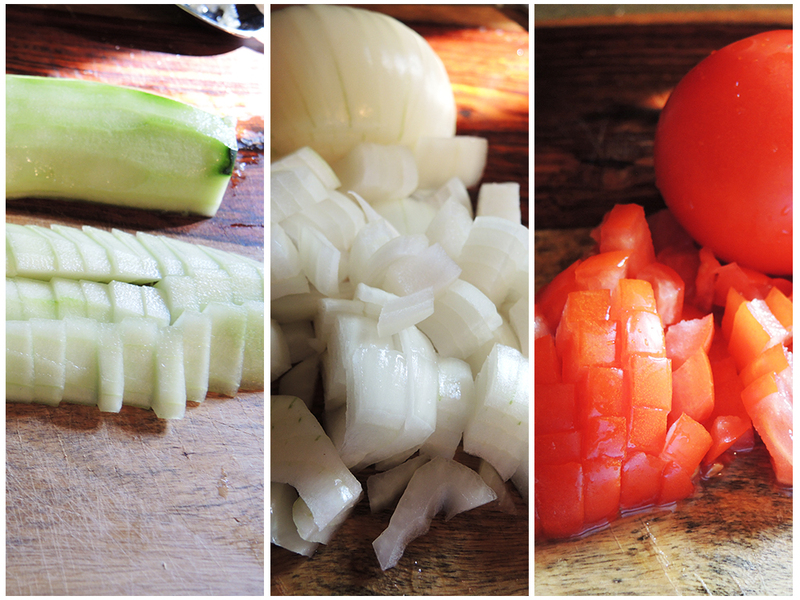 Chop the cucumber, onion, and tomato into similar sized pieces. 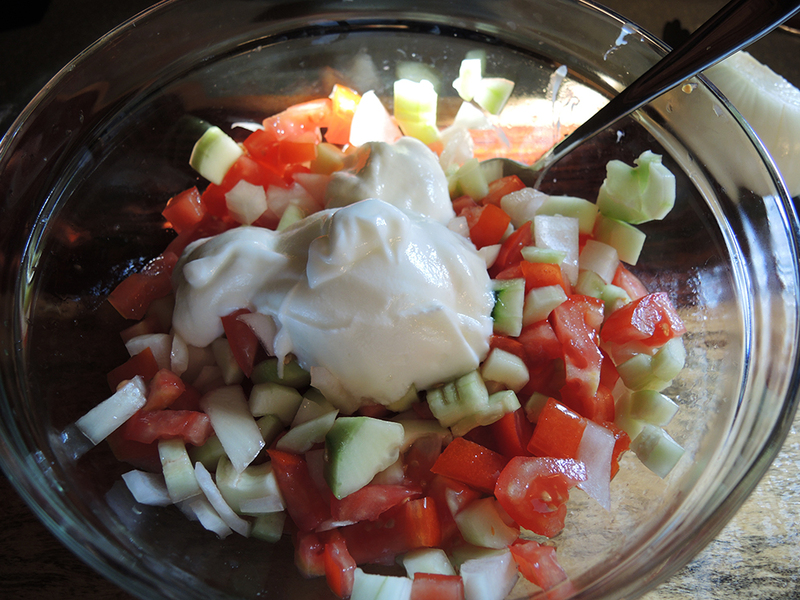 Add all of the vegetables to a large mixing bowl and add in the yogurt. Add the salt and mix everything very well. Start with a 1/4 teaspoon of salt and add more at the end if you feel it needs more. 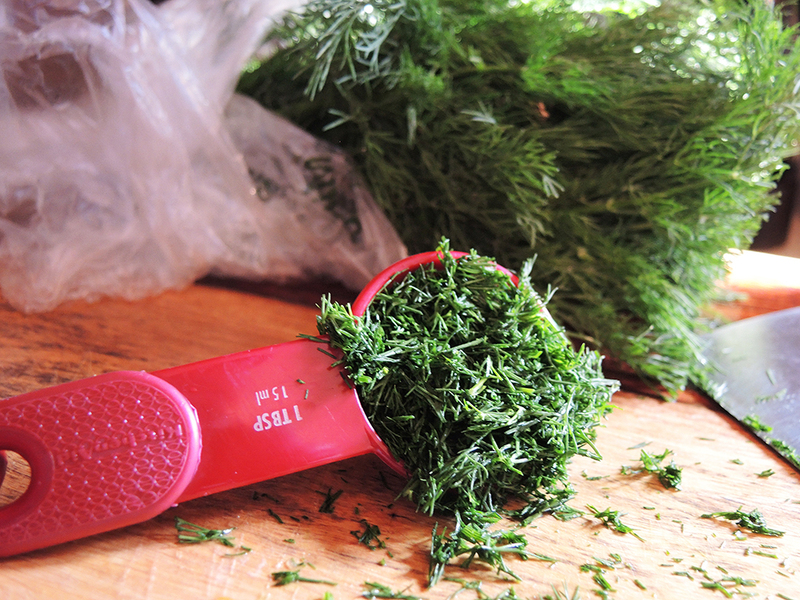 Finely dice the fresh dill so that you have enough to fill a packed tablespoon. 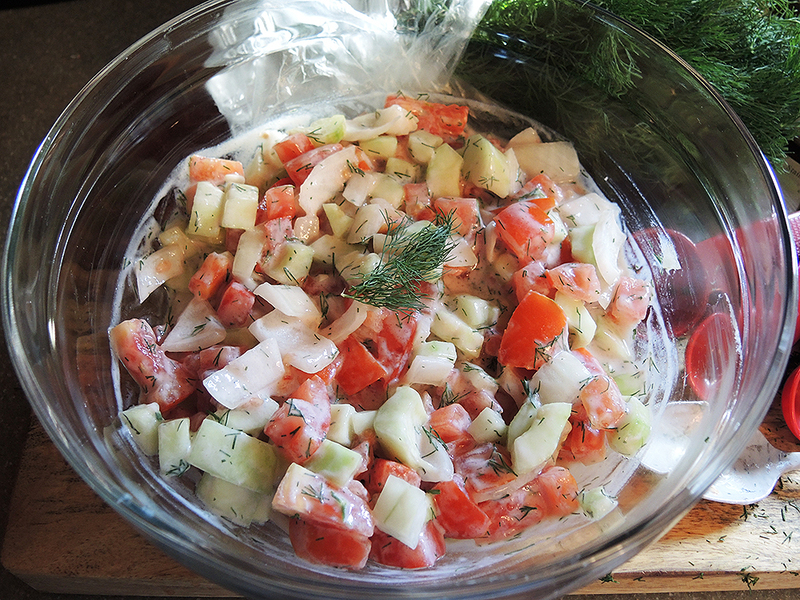 Add the dill to the salad, mix well, and garnish with a sprig of dill. Serve immediately or cover and let cool in the fridge. Don’t let it sit too long before serving though or you may need to dump some of the delicious excess moisture that the veggies will release. Serve alongside your favorite summer foods or just have it on its own as a snack.